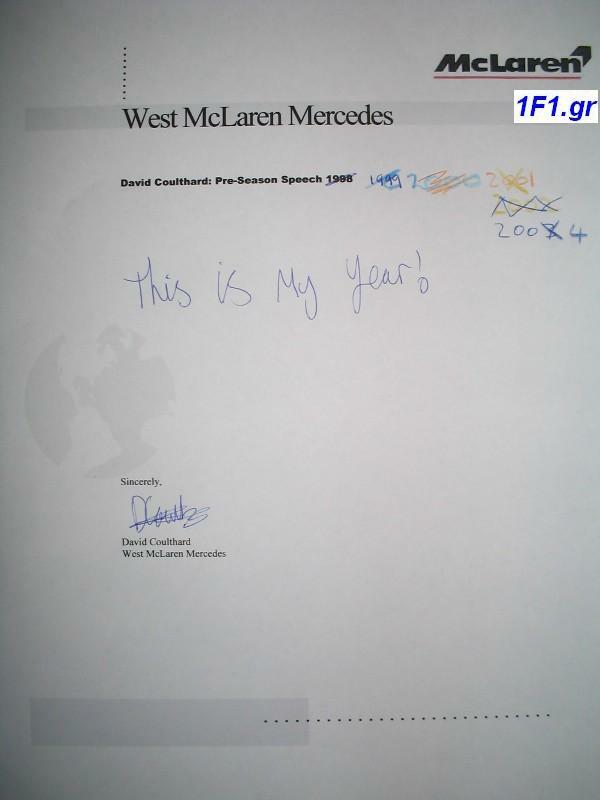 Субтитры: West McLaren Mercedes. David Coulthard: Pre-season speech 1998 - 2004. This is my year! Sincerely.